The Patriots have dominated the AFC East ever since Tom Brady took over as the team’s starting quarterback, but Ndamukong Suh says he’s not backing down. The AFC East has widely been known as a division run by the New England Patriots for the last 15 years since Tom Brady entered the fold in Foxboro. 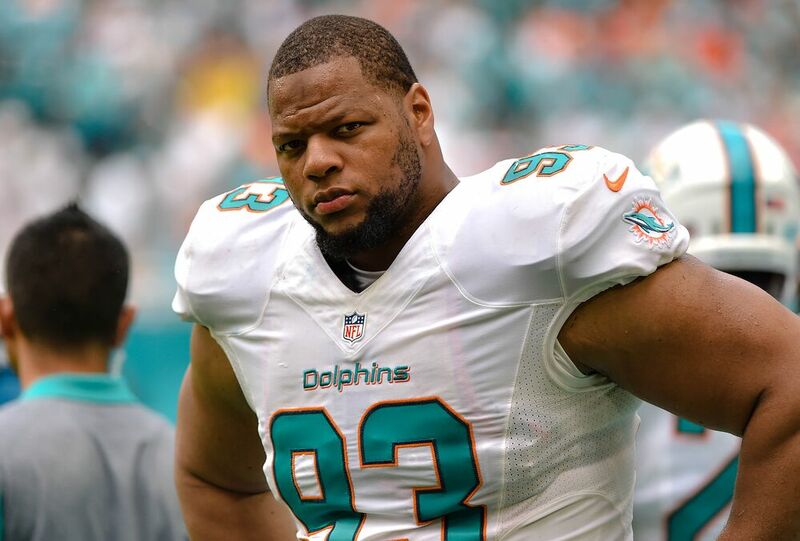 Despite that, Ndamukong Suh and the Miami Dolphins say they’re not afraid of their divisional rival, and are looking forward to their battles in 2017. The Dolphins didn’t win the division last year, and haven’t since 2008, the year Brady went down with a knee injury for the entire season. However, they did qualify for the Wild Card round, their first playoff appearance since 2001, and lost to the Pittsburgh Steelers. Suh knows that the Dolphins have given the Patriots some trouble, but also understands where each team stands in the current ladder of the AFC East. Suh said that, despite the Patriots’ dominance, his Dolphins won’t be backing down anytime soon, and know how to get ready for their battles with their divisional rival. The Patriots took home two wins over the Dolphins last season, including one where Jimmy Garoppolo and Jacoby Brissett took control of the offense during Brady’s four-game suspension to start the season. The two teams will battle twice in the 2017-2018 season, once on Nov. 26 and two weeks later on Dec. 11.